In honor of the School of Dental Medicine’s 150th anniversary, the Board of Advisors sent out a challenge: If 150 alumni, parents, and friends made a gift of $1,000 or more between March 15 and June 30, 2018, the advisors would give the school $150,000. You not only met the challenge, you surpassed it—165 donors generously gave $336,555 to the Tufts Dental Fund, unlocking the Board of Advisors gift. In April, Richard S. Harold, D80, A00P, D06P, was elected as a director to the executive board of the Tufts University Dental Alumni Association. 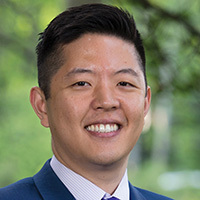 An associate professor and practice coordinator for the department of comprehensive care at the School of Dental Medicine, Harold also has a JD degree from New England School of Law and a bachelor’s degree in pharmacy from Massachusetts College of Pharmacy and Health Sciences. He has published articles on dentistry and the prescription opioid epidemic, management of acute dental pain, and ethical and legal guidelines for prescription writing, and participated in an American Dental Association Council on Dental Practice initiative to develop a comprehensive resource on practice risk management. Before joining the faculty, Harold owned a general practice and participated in several dental public health programs in the Boston area and in Honduras. 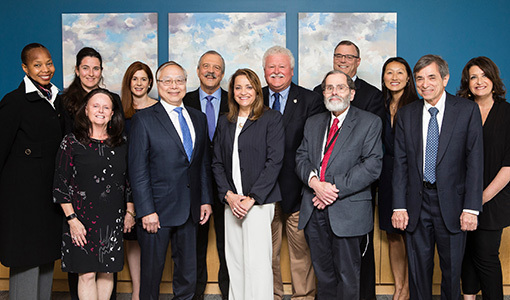 Hubert Park, D11, DG14, MPH14, a member the Tufts University Dental Alumni Association’s Board of Directors, has received recognition from both the American Dental Association (ADA) and the Massachusetts Dental Society (MDS). He received the ADA’s inaugural “10 Under 10” award, which recognizes new dentists—those less than ten years removed from graduation–who demonstrate excellence in their work and community. In addition, he was named a William McKenna Volunteer Hero by the MDS. Park is part of the pediatric dentistry and orthodontics practice Drs. Park, Perlman & Koidin in Lynn, Massachusetts, which also cares for adult patients with special needs. He is chair of the MDS Membership Committee and chair-elect of the Boston District Dental Society. While at the School of Dental Medicine, Park spearheaded a free dental clinic at the Sharewood Project in Malden, Massachusetts. He also volunteered for several mission trips—providing care to underserved populations in Kenya, the Dominican Republic, Bolivia, and Zambia—and is part the Massachusetts Department of Public Health’s Perinatal Oral Health Task Force. For four decades, Morton Rosenberg, D74, professor emeritus of oral and maxillofacial surgery, has been recognized for promoting a culture of safety in dentistry and anesthesiology. Earlier this year, the American Dental Society of Anesthesiology (ADSA) honored him during its Annual Session. More than 250 people attended the event at the JFK Presidential Library and Museum in Boston on April 20, including Tufts colleagues and alumni whom Rosenberg had mentored. 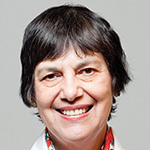 Rosenberg, the author of more than ninety journal articles and twenty-three book chapters, has been an active member of the ADSA since 1975. He was on the board from 1981 to 1991, was continuing education chair from 1979 to 1987, and served as either treasurer or secretary from 1991 to 2017. “Dr. Rosenberg provided direction and steadiness when it was most in need,” wrote ASDA President Michael Roller, praising Rosenberg’s pioneering efforts at high-fidelity simulation in sedation training, and his willingness to mentor others throughout his career. Rosenberg, who has also held appointments at the School of Medicine and Tufts Medical Center, is the interim compliance officer at the School of Dental Medicine. 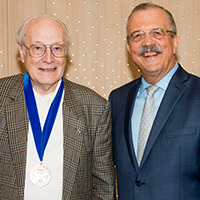 Among his many honors, Rosenberg in 2003 received the first faculty recognition award from the American Student Dental Association and Massachusetts Dental Society for education and mentorship. 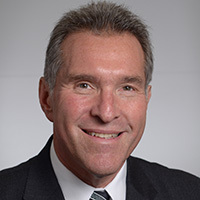 He also received the Heidbrink Award and the Leonard Monheim Distinguished Service Award from the ADSA, the Provost’s Award for Outstanding Teaching and Service at Tufts, and the Horace Wells Award of the International Federation of Dental Anesthesia Societies. 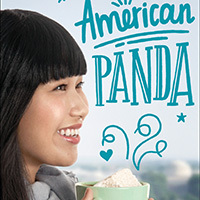 —Gloria Chao, D12, on her new young adult novel American Panda, about the daughter of immigrant parents who defies her family’s expectations about career, love, and life. One chapter is set in a familiar location for generations of Tufts dental students: the former gross anatomy lab in the basement of 136 Harrison Avenue. Chao’s next book is scheduled for fall 2019. It’s titled Misaligned. But, no, she said, it’s not about teeth. To read more, visit go.tufts.edu/GloriaChao. Two women at the school have received awards from the Lucy Hobbs Project, which are named for the first American woman to earn a degree in dentistry, are sponsored by Benco Dental, and honor exemplary women in the dental community. Athena S. Papas, J66 , recipient of the Industry Icon Award, is the head of the division of oral medicine, a Distinguished Professor of diagnostic sciences, and the Erling Johansen Professor of Dental Research. With expertise in the oral health care of the elderly and medically compromised, as well as patients with Sjögrens, cancer, and bone marrow transplants, Papas has been the principal investigator of more than a hundred clinical trials. Jeanette Sabir-Holloway, recipient of the Mentor Award, is the school’s director of Outreach, Recruitment and Admissions. 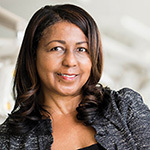 She founded and directs the nonprofit Increasing Diversity In Dentistry (IDID), which supports an increasingly significant number of successful applicants underrepresented in dentistry. At Tufts, she initiated a prematriculation program for students, primarily from economically and educationally disadvantaged environments, to ease the transition into dental school. Tufts was well represented at the 2018 Annual Meeting of the American Association for Dental Research (AADR) in March, and received two awards from the AADR’s National Student Research Group: the “Best Local Student Research Group Newsletter,” for “Dentes,” and “Most Student Abstracts Accepted into 2018 AADR/CADR Annual Meeting and Exhibit,” an award the school has won five years in a row. Tufts had forty-five student poster and oral presenters; ten faculty and five staff members also presented oral or poster presentations at the meeting in Fort Lauderdale, Florida. The School of Dental Medicine is leading the way into a bold, new future for implantology. A group of committed dentists from the Alpha Omega professional fraternity is helping Holocaust survivors smile again. How a pediatric dentist and an engineer with the Tufts Gordon Institute are reinventing the pacifier. Can a tooth-mounted pH sensor curb an epidemic of tooth decay? Researchers from the dental and medical schools work together to improve diagnosis and monitoring. A flood of misinformation is undermining a successful public health effort. In Africa, Sister Kay Lawlor, D68, fixed teeth, ran hospitals, and confronted health-care crises. In Massachusetts, she’s giving women who need help a new start. After graduating from Tufts in 1966, Athena Papas passed on the dental school because she didn’t want to be the only woman in her class. 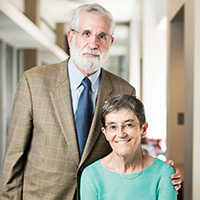 She finally joined the school eight years later as an assistant professor, and in the four decades since has secured dozens of grants for groundbreaking research, helped launch countless life-changing medications and mentored generations of colleagues. Today, half of all dental students are women… and Papas seems to be just getting started.